Jaw-Hwa was established in 1976. Our firm is on domestic client basis, and has devoted professional career in the field of Intellectual Property rights and practiced in Taiwan for more than 42 years. Our head office is presently located in Taipei City, close to the Taiwan Intellectual Property Office (TIPO) and has four branch offices (Hsinchu, Taichung, Tainan, Kaohsiung) located in other parts of Taiwan, providing a broad network, thus servicing all clients efficiently and cost-effectively. Being a qualified firm with a long history in Taiwan, we have high intelligence and ample knowledge in dealing with IP matters, such as patents, designs and trademarks. Due to the domestic client basis, we thus have very rich experience in drafting patent specifications in various fields, especially in comparison with the Law/IP firms based on foreign client basis. Our team of patent specialists covers a broad spectrum of technical areas, including electrics, electronic engineering, mechanics, mechanical engineering, mechatronics, material science and engineering, chemistry, biotechnology, pharmaceutics, semiconductor materials and etc. Furthermore, we have cultivated a worldwide connection with foreign associates throughout the world. In order to expand our international view and provide updated information to our clients, we are a member of INTA, AIPPI, APAA and MARQUES. Moreover, we are the first firm in IP & Law fields to fully adopt the paperless operation system combining with the overall computerized work in the whole offices instead of performing the same partly only in order to save natural resources, reach the most efficiency and boost productivity. The state-of-the-art technology in our computer system provides our clients/associates with one more free and most convenient on-line checking services for their cases our firm handles. Finally, we issue IP Newsletters at two-month intervals, from which you are able to know well the recent changes and the latest news about IP matters in Taiwan. On 1 December 2018, our CHINA office located Suzhou was launched. Tasked to strengthen our regional capability and IP service for TRADEMARKS in China, the SUZHOU office provides the direct and precise services to our multinational associates and clients by dealing with the tradamrk matters in China. 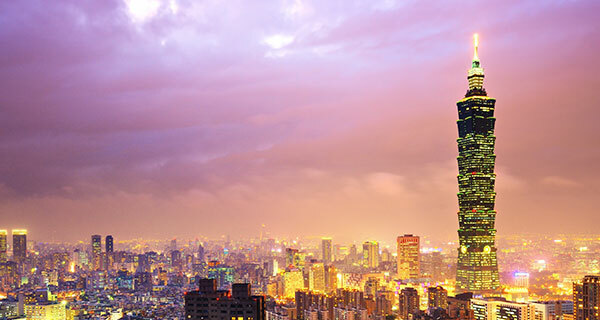 Our China-focused team is closely integrating with our outstanding Taiwan team to bring the most affordable yet timely, high-quality and dependable services.